Since May of 2013, we have quickly become a craft beer and comfort food destination. 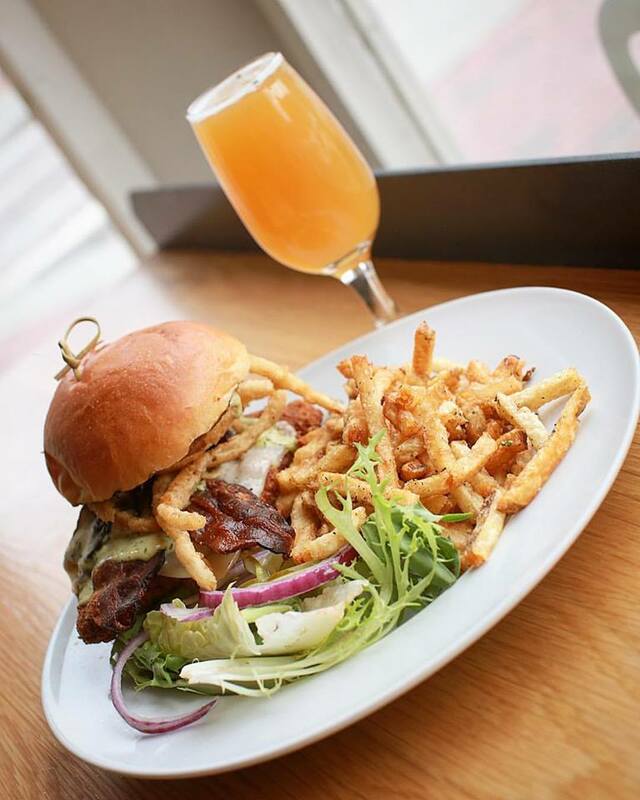 Whether you drop by for a pint of the freshest IPA Vermont can offer or any one of our rotating seasonal snacks or entrees, we look forward to seeing you soon! Our eclectic and thoughtfully planned draught selection is always rotating. Our list focuses on both old and new world styles of craft beverages. No matter if you're just stopping in for lunch or out with friend's for the night, we have something to satisfy every palette. Our food is always evolving, but never unapproachable. You'll find familiar bar favorites executed perfectly and made with care and quality usually reserved for those stuffier places. So while we'll never be too good to look down our nose at at a great burger and chicken wings; we take our food and what we make it with as seriously as selecting the beverages we serve along side it.